Not so very long ago, the political pundits and economic gurus whose analyses are given plenty of space in the corporate media were predicting that the high-tech revolution then beginning to accelerate would elevate industrial workers in this country into the “middle class,” able to earn more money while leaving behind the dirty, dangerous jobs replaced by automation. 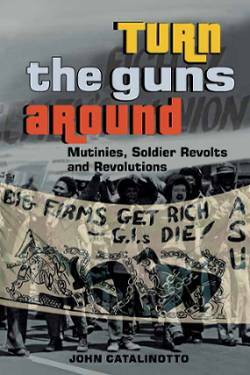 The economic facts and figures that now have bourgeois economists scratching their heads completely confirm what these Marxist revolutionaries explained beginning more than three decades ago. The high-tech revolution raises the promise of a future world of abundance and ease — but such a life can be achieved by the masses of people only if capitalism is abolished. Look at what has really happened. Yes, many, many jobs that used to exist in manufacturing, mining, retail sales, communications, office work, transportation, agriculture and more are now obsolete. The owners of the means of production have shed human labor at a prodigious rate in the pursuit of ever greater profits. Millionaires have become billionaires in the process. But what about the workers? 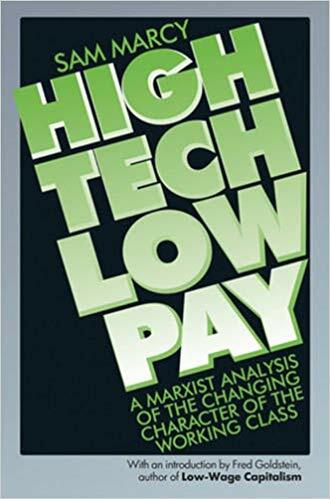 As the title of Marcy’s book suggests, high tech has actually deskilled or eliminated altogether millions of jobs. The result is lower wages and a precarious existence for more and more workers. But do workers need bosses? More and more young workers are saying no. They are starting to envision a socialist world where it is bosses, not workers, who will be obsolete. In the meantime, the conditions for workers become ever more desperate as part-time, low-wage, no-benefits jobs replace full-time, permanent jobs at union wages. The bosses are our enemies, not our partners. Trump is the epitome of the “benevolent” billionaire who promises the moon while robbing the shirts off our backs. There’s only one answer to this, and it’s not class collaboration. It’s class struggle. Not a new idea, but one that has stood the test of time and is what is needed now. Let the stirring teachers’ strikes of this spring set the example for what is necessary and possible.